Jaco Deist, prosthetics professional and owner of Deist & Associates, has taken on his biggest challenge to date: fitting a bionic prosthetic for a partial-hand amputee, Bridgette Makoena. Deist has an undeniable passion for helping people which is apparent upon meeting him and being witness to the way he interacts with his patients. Jaco Deist has been a qualified, professional prosthetist for 23 years and the owner of Deist & Associates since 2002. He started his prosthetic journey at TUT where he graduated in 1994 and went back in 2007 to complete his B-Tech Degree. When asked to describe some of the ground-breaking prosthetic innovations that are changing the lives of patients, Deist responded by pointing out that today, an amputee can be provided with “any form of top-end, world-class prosthetics.” Deist goes on to say that these prosthetic devices make it significantly easier for amputees to regain a lot of the strength and mobility they had before the amputation. Amputees can now walk on any uneven surface, go uphill, downhill, ascend and descend stairs, and open and close a hand with hardly any effort – hand movements simply require a simple gesture! “Every amputee has different needs and different circumstances,” says Deist. “Many amputees have struggled for long periods of time with no prosthesis to wear, so, by the time they have funds or an opportunity to get a prosthesis, they are so grateful.” Even the small, simple changes have a huge impact on amputees’ lives. 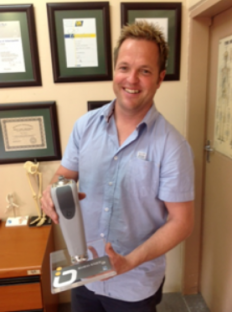 Deist’s sincerity and dedication render him one of the best prosthetic practitioners in South Africa. Deist’s newest challenge is to provide Bridgette Makoena with her new bionic hand – and the result is highly anticipated by all! Jaco Deist is taking on South Africa’s first bionic hand replacement for a partial-hand amputee. Bionic or Myo-electric prostheses have been available to upper-limb amputees for many years within the prosthetic industry. In most cases when a partial-hand amputation is performed there is little that can be done after the fact other than providing a cosmetic or non-functional prosthesis to the amputee. The challenge with a partial-hand prosthesis is in the digits; moving the digits independently is tricky – in most instances, amputees only have the ability to open and close the hand. Deist explains how i-Limb Digits eliminates this problem. This is very exciting for Deist and he cannot wait to get started! He has been working closely with Bridgette Makoena in preparation for the procedure, that will start once the prosthetic is complete, as well as for her rehabilitation thereafter. Deist describes the preparation process, step by step. Bridgette had to do small muscle movements in a specific area so that the sensors could pick up the electrical impulse created by the movement of the muscle in her residual limb; this is what will, in turn, allow her to open or close the hand. On 12 November 2017, Jaco Deist and Bridgette Makoena will be jetting off to Scotland for 10 days to complete the procedure. We wish you safe travels and the best of luck for the procedure!